Where I come from, there are a lot of stereotypes about young people, from all backgrounds and social groups. What I want to do is change the way people perceive the London youth. It is a view among many people that young people get involved in gangs, especially groups of young black males. My friends and I have been stopped and searched a multiple of times for, what I feel was no real reason whatsoever, other than people assuming we’re part of a gang or up to no good. I want to smash this false idea that young people are involved in gangs and crime. A lot of the problem is that young people think being in a gang is ‘cool or equals respect’ because of the portrayal in the media. It is not – behaving and acting like criminals only gets you into trouble, and makes others think less of you and other young people in the long run. But also, I want to stop people labelling young people as being in gangs, as often this labelling pushes young people to live up to that stereotype. 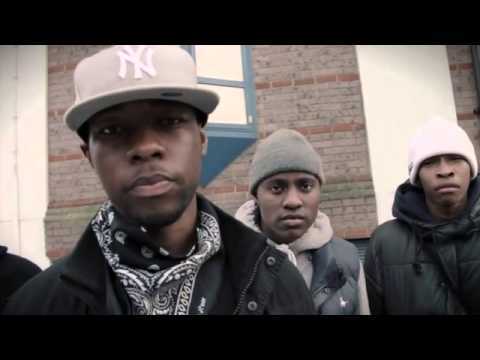 I wanted to make a satirical, unique film which depicts a failing gang to emphasise the message that being in a gang is far from the best choice to make. I want to inspire any young person who is lost (and who is thinking of joining a gang) to stay away and make the right choices, and I also want to show other people that stereotypes may force people into a gang culture. Working with Fixers has been a developing experience for me and my team. As I am myself as an aspiring director, it has been invaluable watching and learning from the team, meanwhile knowing that I am making a difference to the lives of other young people. Thanks to Jim who came to our Westminster launch. Thank you for your assistance during our broadcast shoot. Thank you for allowing some of our filming to take place in the youth club. I attended the official UK-wide Fixers launch at Westminster, London, and talked about my project with fellow Fixers and various guests including television presenters and MPs. The picture below is myself and my fellow Fixer friend Mohamed enjoying the launch with television chef Ainsley Harriott. The story of my campaign was also featured in Inside Croydon. Read the story here. 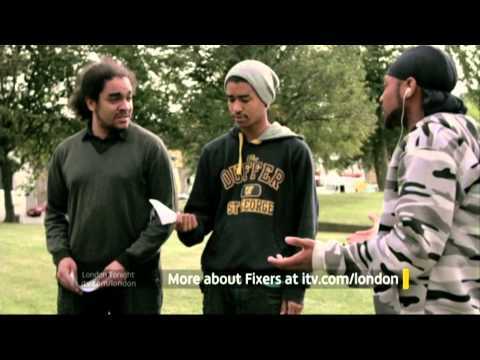 My piece on gangs is chosen to represent Fixers on ITV London Tonight News.